After a long but fun day, it was wonderful to come back home to some surprise cycling-related post from a friend... thank you @BlackDogCycles for these wonderful magazines! I've not come across Dandyhouse before - looking forward to getting a chance to sit down with a pot of tea and have a proper read of them all... I do like the look of these. I got back on a bike again later in the week, but this time it was my beloved Pashley! It's been a little while since Frankie has been out around town (don't worry, I've not forgotten her), and on Friday we went for a spin to Shoreditch. We did little cycling street-style shoot with Women's Health Magazine. 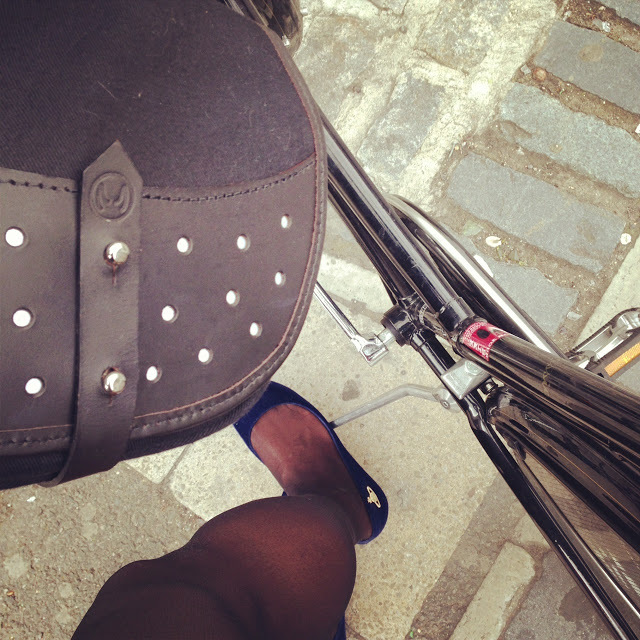 I'll update with more details on it when possible, but here is a little peek at my "blue style" for the day, involving a touch of Westwood, some Tatty Devine & a new Michaux Club Saddle Bag in the mix! While in Shoreditch, I bumped into the fantastic LCC and Bikeworks who were offering free bike maintenance as part of Bike Week... it would have been rude not to get Frankie checked over! In the meantime, here's an update on another piece of cycling-tv which has come to life. Back in February I met up with the lovely Caz Nicklin of Cyclechic for a rather chilly but fun day of filming in Chiswick. We couldn't say too much about the project, but can now reveal it was for a Swedish television show called 'State of Style'. The feature focused on the cycling-style scene in London and how cycle-chic has become a fashion movement in its own right. 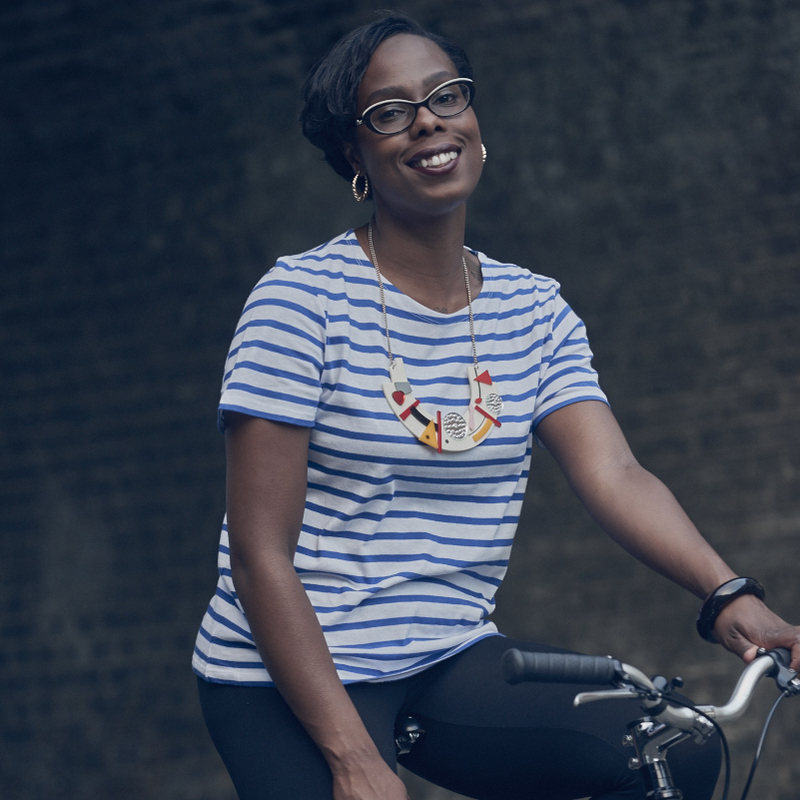 Caz gave a lovely interview about her love for cycling, fashion and her online shop Cyclechic. I was thrilled to be asked to feature with Caz for the piece, riding around together for the day... even through the nippy weather, it was a blast!